Origins | Kris Johnson's Blog…sort of. Here’s how it went down: Chris Miller and I hit the road in the MVoD at approximately 6:00 Friday morning, armed with a cooler full of bottled water, some geeky t-shirts and our Zoom H2 digital voice recorder. Arriving at around 9:00, we met Mur Lafferty, Jim Van Verth, the Pink Tornado, Cmaaarrr and SciFi Laura for breakfast at Max & Erma’s, buffet style. Registration. Piece of cake! Pro tip: pre-register; it saves time and money. I decided not to buy any event passes because I wanted to play it by ear. I didn’t even pick up a handy program guide; I was totally footloose and fancy free. The Board Room: Rio Grande Games was giving away two free games with the purchase of a $16 pass to the Board Room. I snagged Crocodile Pool Party and Dragonriders. I wound up selling Dragonriders for $10 to a random guy in the hall about four hours later. While in the Board Room, we played Pandemic with Mur, Jim, Cmar and Laura. I want this game, but it is apparently very scarce at the moment. Lunch at The North Market. I played it safe and went with a known quantity: General Tso’s Chicken. During lunch the phrase “Give in to your sapphic desires!” was uttered, entirely within the context of the conversation. Back to the Board Room for some Arkham Horror with all the expansions. We were joined by Shannon Farrell and Carlos (whose last name I can never remember). Three and a half hours later, we had to wrap up the game due to time constraints. By the end of the game, Cmar had tapped Granny no less than fifteen times; she was exhausted, but he was not. Eventually we found ourselves gathered for dinner at Buca di Beppo with all of the above plus David Moore, Mario Dongu, Rachel Ross, John and JD. No vicious Internet rumors were started after I finished my linguine. None. Breakfast with David, Shannon, Cmaaarrr and SciFi Laura at Max & Erma’s. Chris had to return home unexpectedly due to an emergency (don’t worry, everyone’s fine). 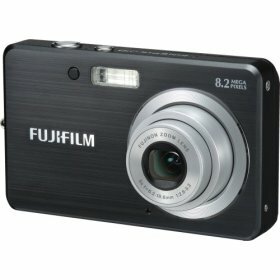 I took a quick trip to Best Buy, where I bought a Fujifilm Finepix J10 digital camera. I met up with Gunnar “Miscellaneous G™” Hultgren and Jon “Man Mountain” Pollom for lunch at The North Market. How many days in a row can I eat General Tso’s Chicken for lunch? The world may never know. Armed with my new camera, I roamed the halls of the convention center looking for photo-ops. I managed to get a picture of Wonder Woman, but that was about it. I also visited the dealer’s room and carefully avoided the Chessex Bin o’ Hepatitis (more commonly referred to as the big dice bin; I was tempted to pick up some cheap dice, but the idea of rooting around in there just wasn’t very appealing). Later in the afternoon, I attended the Heroes and Villains costume contest, sponsored by the Ohio Gamers Association. There weren’t hundreds (or even hundred, singular) of contestants, but there were some very good costumes. Matthew “Feedback” Atherton, winner of season one of Who Wants to Be a Superhero? was the master of ceremonies and he did a very good job and hung around to chat with people afterward. He even did a promo for the upcoming release of Mur’s superhero novel, Playing For Keeps (available on Amazon.com, August 25th). The guy is just too damn likable. Mur “dragged” us to a barbecue where we played Mad Scientist University. The card game was ridiculously fun, owing to some excellent players with truly wild imaginations. I knew we were in for a treat early on when Ralph Melton equipped dwarfs with decoder rings, shrunk them down Inner Space-style and injected them into a human being to decode RNA. We created a bizarre continuity involving vampires, penguins, the Moore sphere, and a fifty-page index written by mosquitos. Much of the game was recorded by David Moore and may eventually be released to the public, but only after heavy censoring by the Department of Homeland Security. At 10:00, we met for breakfast with the gang and Max & Erma’s. How many days in a row can I eat the same buffet for breakfast? Three. After breakfast, David, Mario and I returned to Room 929 to record The Secret Lair Origins Report. Assuming I didn’t completely fail my Use Zoom H2 Digital Recorder roll, we should have that posted in the next couple of days. Pile my luggage and loot onto a cart, load up the MVoD and hit the highway. And that pretty much wrapped it up for Origins 2008. With Mr. Miller soon moving to the Los Angeles area, I don’t know whether I’ll be inclined to attend Origins 2009, but I do know that my next convention is Con on the Cob in early October. A few days ago, while still at Origins in Columbus, I suggested that photographic evidence of my presence there (not to mention some of the bizarre and shocking things I had witnessed) would be forthcoming. A raging mob of Pokémon, led by a twelve-foot-tall Pikachu, turned the tables on a group of young children, chasing the terrified youngsters (all aged between four and nine years, by my approximation) through the convention center, muffled shouts of “Gotta catch ’em all!” echoing through the hall as bystanders watched in stunned silence. During a corset fitting, a buxom young woman’s cleavage collapsed in on itself, creating a localized singularity that consumed every scrap of leather and link of chainmail in a five-meter radius before evaporating. Thirty-two seconds after the incident, the Troll & Toad booth quietly expanded to fill the empty space. A group of investigators actually won a game of Arkham Horror. After the initial celebration, all six participants spent the remainder of the convention attempting to replay every move made throughout the game to ensure that they had not somehow broken one or more rules in the course of play. A representative from Fantasy Flight Games was quoted as saying, “No way. No [bleep]ing way.” He then indicated that an upcoming expansion, entitled The One That Makes Winning Impossible, would correct the rules loophole that allowed the victory. Pre-order sales for the expansion have already broken records. During a game of Settlers of Catan, a player expressed a genuine desire to receive wood in exchange for sheep. He was understandably surprised when all four other players began to pelt him with wooden tokens and other small objects. I am far from the only photographer to provide a visual record of the convention, and the curious may find additional evidence of strange goings-on elsewhere on the Intertubes, provided they know where to look. You may have heard rumors that I am presently attending the Origins Game Fair in Columbus, Ohio. I can now confirm that this is (as of this writing), absolutely true. You may also have heard rumors concerning the absence of one Mr. Ken Newquist and whether or not Mur Lafferty was somehow responsible. Though I cannot say with absolute certainty that this has no basis in fact, I have reason to believe that it is patently untrue. Finally, there is another dubious assertion that Cmar, M.D. goes around wearing a prosthetic noggin so as to appear taller than four feet and two inches, and that he uses a complex periscopic device to look down upon those around him through eerie, ever-staring artificial eyes. Is this true? I don’t know, but having spent considerable time with the man yesterday I have come to the conclusion that it could go either way. If you were under the impression that the rumor of the doctor’s false head was the last of the bunch, then I’m afraid you were deceived. It is unwise to believe everything you read on these Internets, even on this very blog. Here is the true final rumor of the moment, one I can happily assure you is one hundred per cent accurate and true: Natalie Metzger, known in some circles as The Fuzzy Slug and in other circles largely overlapping the first as minitotoro, has released the first episode of her fantastical new podcast, Radio Isopod. You would do well to listen to it; you might even recognize a voice or two. While you do that, I shall remain at Origins, attempting to substantiate or disprove the scurrilous scuttlebutt as I become aware of it. At some point, I expect there will be photographs.